Each MOMBOX™ contains healthy, safe, and impactful products from female-led companies across the country. Additionally, each box also features over $100 in coupon codes for future purchases. We're proud to partner with the following brands. These lightweight pads are made from 100% organic cotton. The inner core maximizes absorption and a leak-proof border prevents side leaks. They will keep you feeling fresh and worry-free on days when comfort is imperative. Each MOMBOX comes with two packages of 8 pads. Perineal care is super important for new moms. But hospitals don't seem to get that. They give you a silly, ketchup-bottle-looking-thing that's supposed to defy gravity to work. That's why we chose Fridet the MomWasher, which works upside down, to make the post-delivery healing process cleaner and easier. Simple, portable, a little adorable, Fridet the MomWasher is perfectly designed with new mom's in mind. A powerful blend of nutrient-rich oils that supports skin as it stretches during and after pregnancy. This beautifully aromatic, luxurious moisturizer deeply penetrates to hydrate and soothe, and aid in healthy skin cell regeneration. Use in those first weeks postpartum to soothe and rejuvenate inflamed skin. Nutrient-packed ingredients offer serious itch relief for shrinking skin. 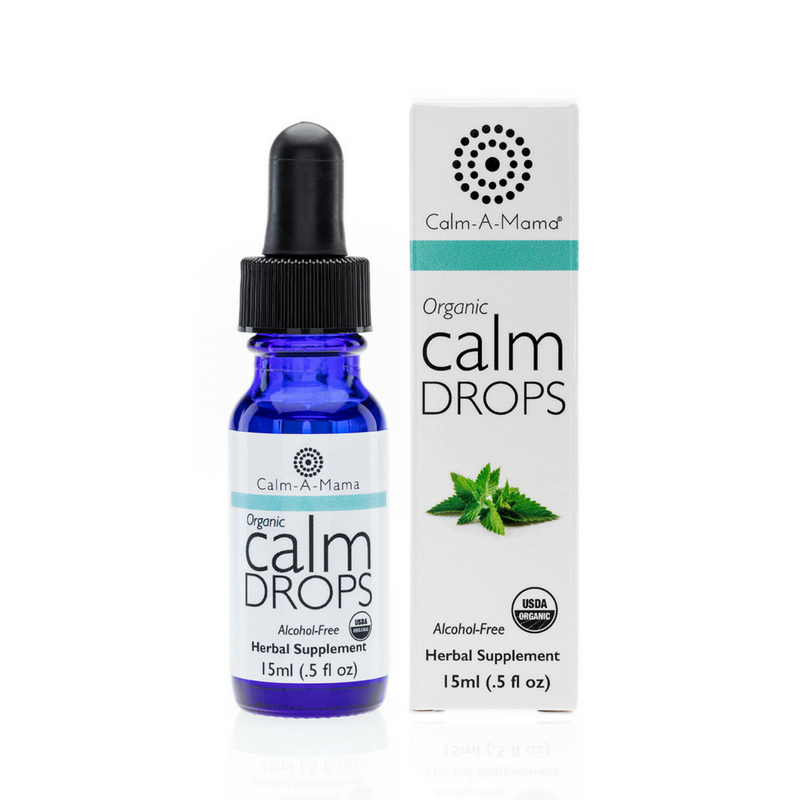 Calm Drops is an all natural herbal supplement that is USDA organic and alcohol-free. It features a water-based extract of Lemon Balm with scentless flower essences of Chamomile, Fireweed, Rose and Yarrow. This blend is calming without causing drowsiness, comforts, connects, supports and helps one to gently establish clear boundaries. Sitz baths can be wonderfully healing and comforting right after birth. They are easier and safer than a full bath in the early days postpartum. You can enjoy a sitz bath after giving birth, once or twice a day as many days as needed. They are safe as early as one hour after birth. Sitz baths are highly recommended if you have perineal soreness, tearing and hemorrhoids. Instructions included on how to prepare. Do away with bulky ice bags from the hospital. This ice pack was designed by a mom of 13 children (Yes, you read that correct, 13!) and it contours perfectly to your healing lady bits to help reduce swelling and discomfort in both pregnancy and postpartum recovery. Store in the fridge or freezer and when ready to use, slip it into your washable cover and place it as you would a maxi pad. Relief at last! Also use for: c-section recovery icing, headache, and to reduce engorgement. New Mama Bottom Spray is a natural touch-free herbal mist for pregnancy and postpartum use, with a clever upside down sprayer so it’s easier to reach hard to get places. With cooling cucumber, organic witch hazel and organic herbs traditionally used for postpartum relief, New Mama Bottom Spray helps soothe perineal discomfort before and after childbirth. No parabens, butane, propellants, artificial preservatives or artificial fragrance. ‘Cause who wants any of that down there?